European Union leaders reach deal on migration after marathon talks – Royal Times of Nigeria. European Union leaders have reached a deal aimed at controlling the number of migrants and refugees trying to enter Europe. A hard-fought, but vaguely worded deal was struck early on Friday after more than nine hours of negotiations at an EU summit in Brussels. 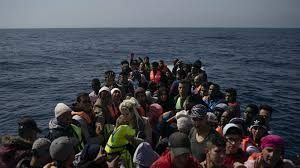 Leaders agreed that “controlled centres” should be set up in member states on a voluntary basis for “rapid and secure” processing to distinguish between irregular migrants and refugees eligible for asylum. It was not yet clear which countries would host the centres. The joint statement said relocation and resettlement from the centres would also happen on a voluntary basis, suggesting countries will not be required to take in people. 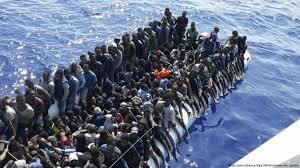 The leaders agreed to increase funding for Turkey and freed up 500 million euros ($581m) in funding for North Africa. The agreement calls on all member states to “take all necessary internal legislative and administrative measures” to counter movement of asylum seekers within the EU while the 28 countries agreed to share responsibility for migrants rescued at sea.